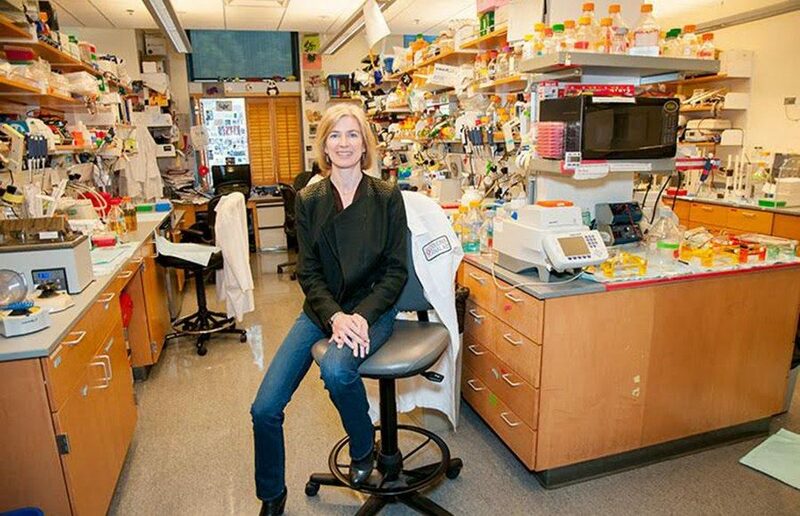 The Broad Institute filed a brief Wednesday denying many of the University of California’s patent claims on CRISPR-Cas9, a groundbreaking gene-editing technology. The Broad Institute was awarded the patent first, despite submitting its application after the University of California, which the UC argues interferes with its patent to the technology created by campus professor of molecular biology and chemistry Jennifer Doudna. The two institutions have been locked in a patent dispute for months. 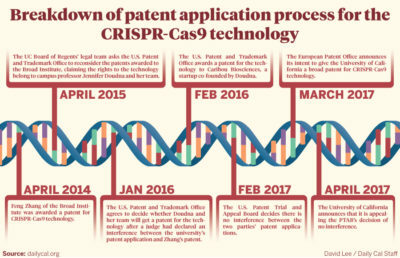 The Broad Institute’s patent is in regard to the use of CRISPR-Cas9 in eukaryotic cells, which the UC argued was an obvious extension of its researcher’s work, and as such was interfering with its patent. In February, however, the U.S. Patent Trial and Appeal Board, or PTAB, ruled that there was no interference regarding the patents. The UC appealed this decision in July, claiming its patent applied to use of CRISPR-Cas9 in all environments. The most recent brief from the Broad Institute responds to the appeal by stating that the use of CRISPR-Cas9 in eukaryotic cells was not obvious. It cites evidence of the past failed attempts to use CRISPR-Cas9 and statements made by Doudna and others expressing doubt about making CRISPR-Cas9 functional in eukaryotic cells. “We are confident the Federal Circuit will affirm the PTAB’s judgment and recognize the contribution of the Broad, MIT and Harvard in developing this transformative technology,” read a press release issued by the Broad Institute. The brief claims that the PTAB’s judgement was based on substantial evidence and that the PTAB made no legal errors in its ruling and considered all relevant evidence. “The University of California looks forward with confidence to the oral arguments and ultimate ruling of the U.S. Court of Appeals for the Federal Circuit,” read a press release issued Wednesday by the UC. According to Sherkow, before oral arguments, the UC will have until Nov. 22 to file its reply. Approximately two months after this, there will be oral arguments in front of a three-judge panel and a written decision by the court of appeals four to six months later. That, however, may not be the end to the dispute, as another appeal could be made by the losing party. “Either the parties will come together and agree with one another to stop the conflict — sometimes, though it’s relatively rare, they will … fight to the death … until the technology lapses into the public domain,” Sherkow said. Michael Lee is the lead research and ideas reporter. Contact him at [email protected] and follow him on Twitter at @_HyunkyuL.